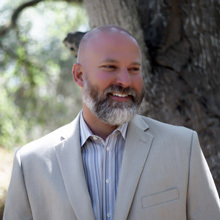 Christopher Ferebee is an attorney and literary agent serving as counsel for content creators of all stripes, from individuals to large organizations. He combines years of literary agency representation with legal advice and career counseling, bringing a holistic approach to publishing, intellectual property licensing and distribution. He has represented several New York Times bestselling authors, winners of various Religion Newswriters Association awards and a Pulitzer Prize winning investigative journalist. Chris is based in Southern California.